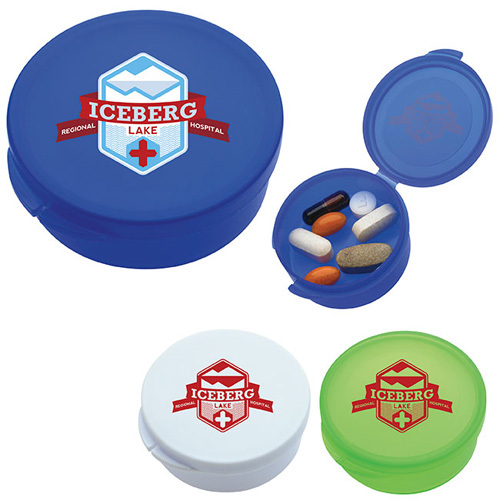 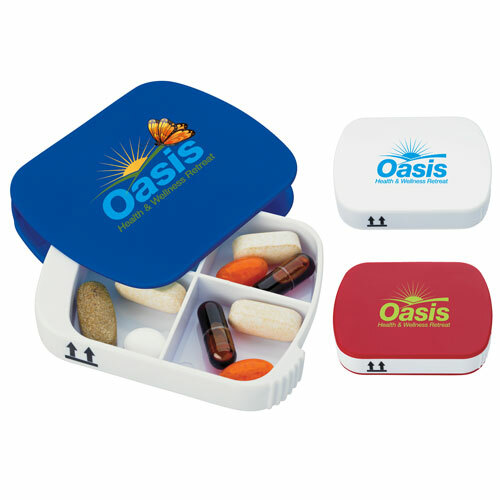 Pill Boxes and storage containers for your next promotion, imprinted apothecary pill box, custom pill dispenser, printed pill containers, customized medicine pill minders. 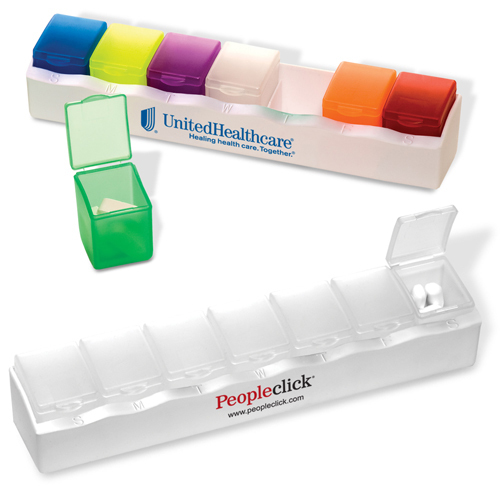 The best Rx for increasing awareness of your business. 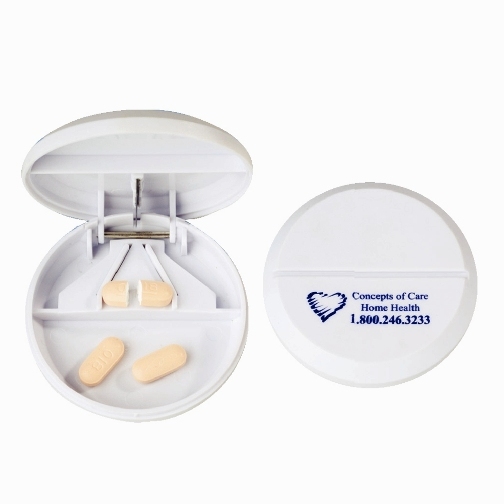 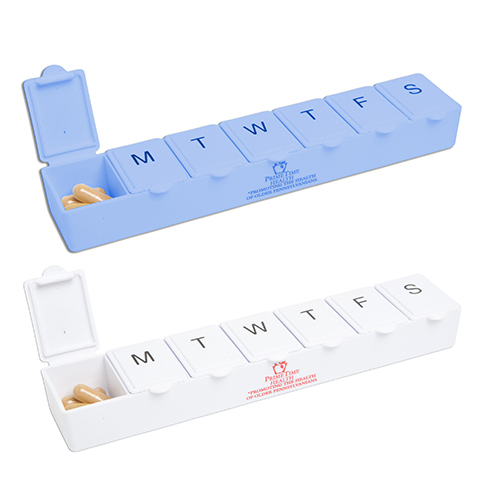 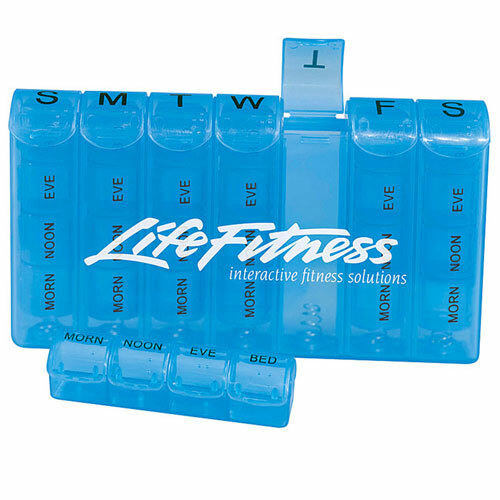 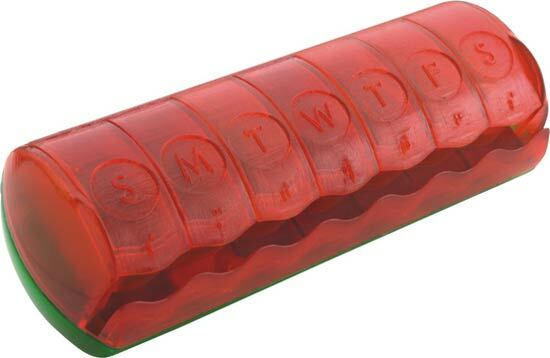 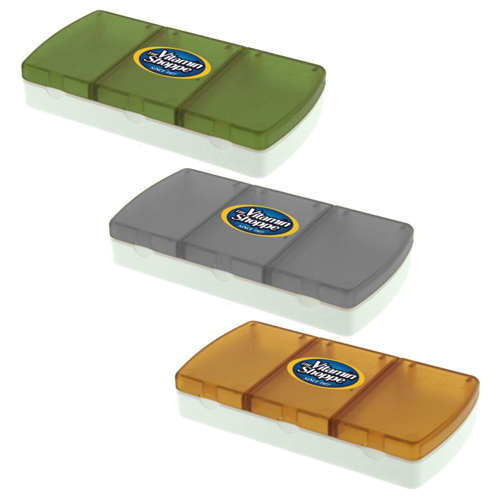 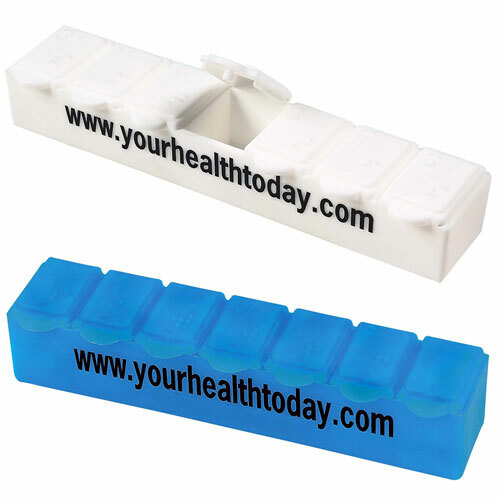 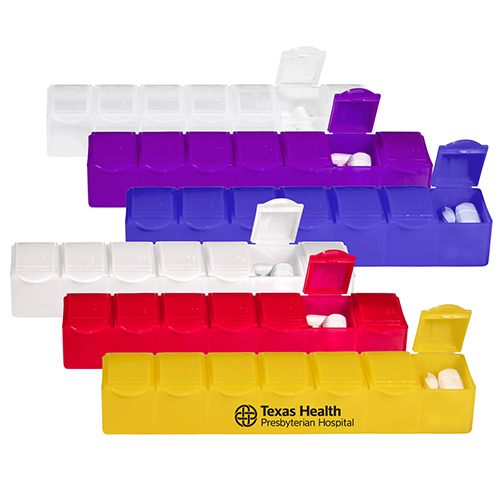 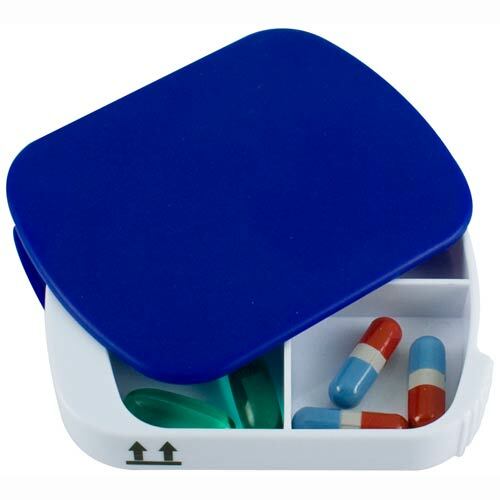 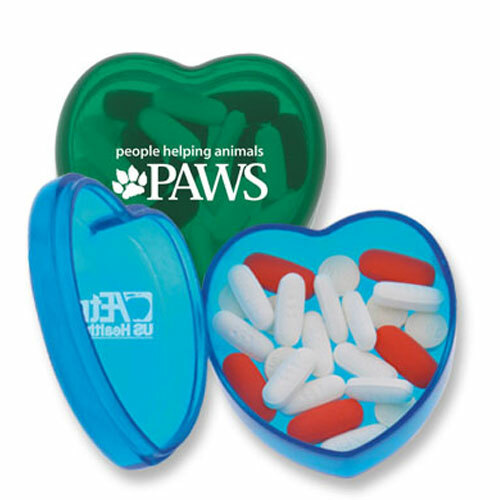 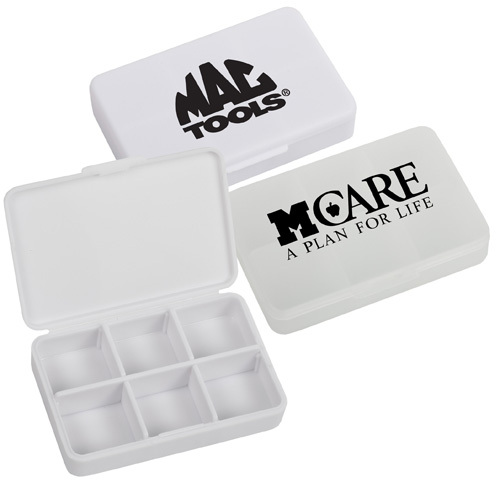 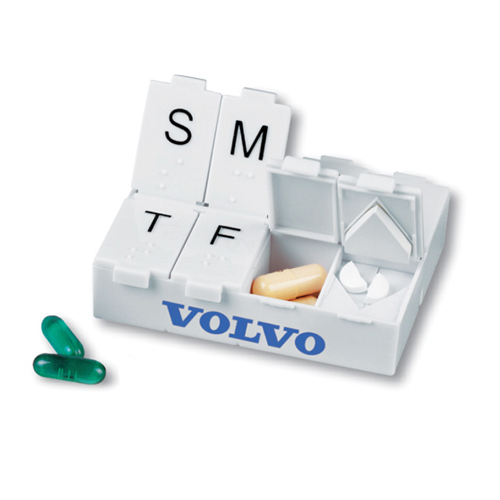 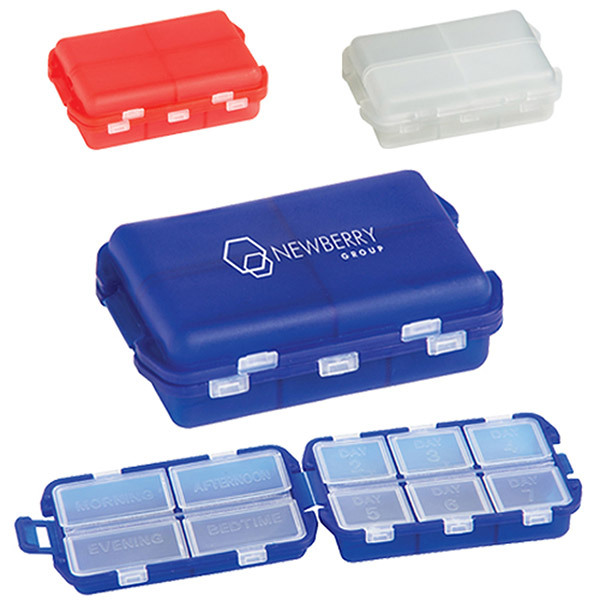 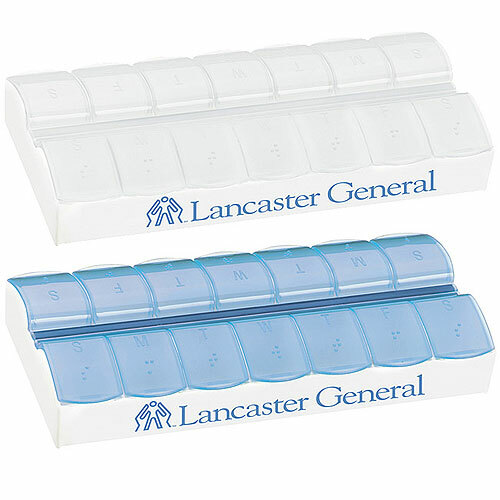 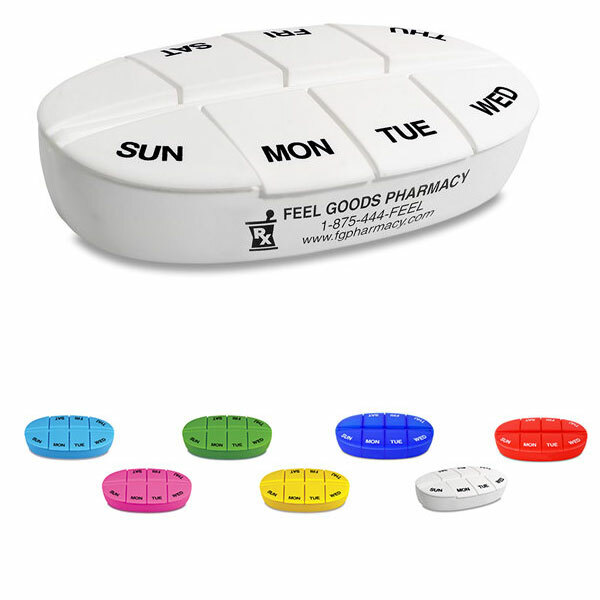 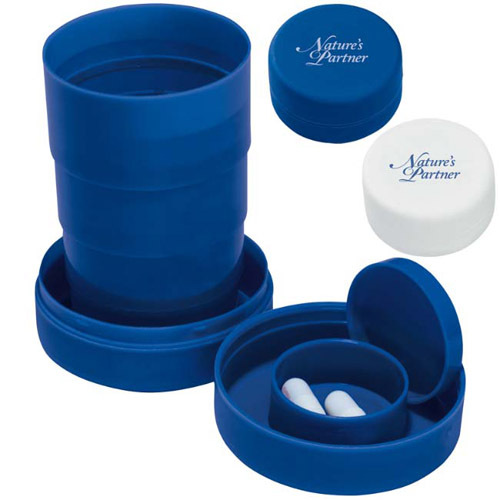 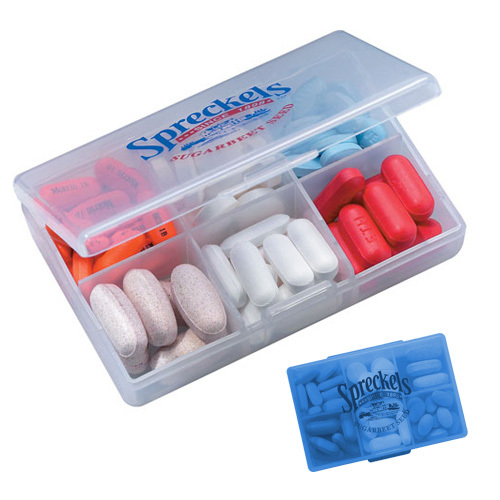 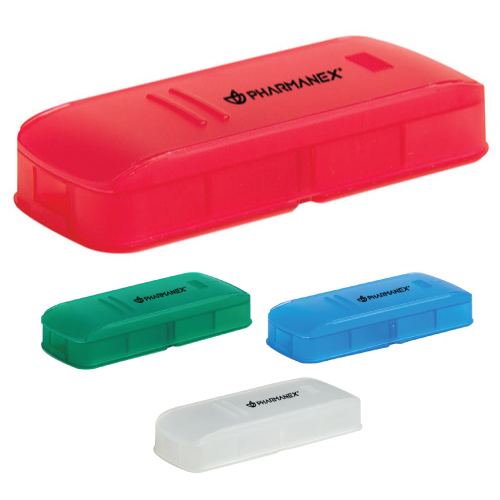 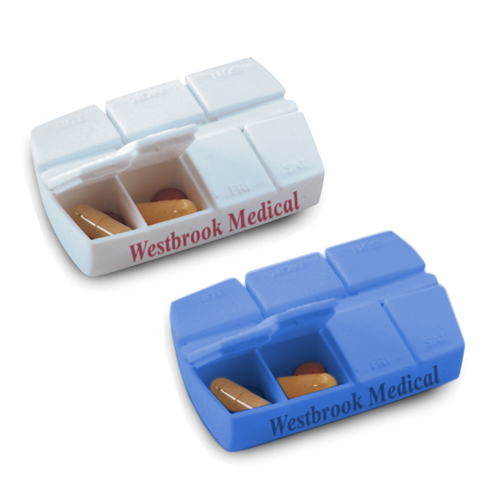 Our pill boxes, pill containers, and pill dispensers help keep your pills organized. 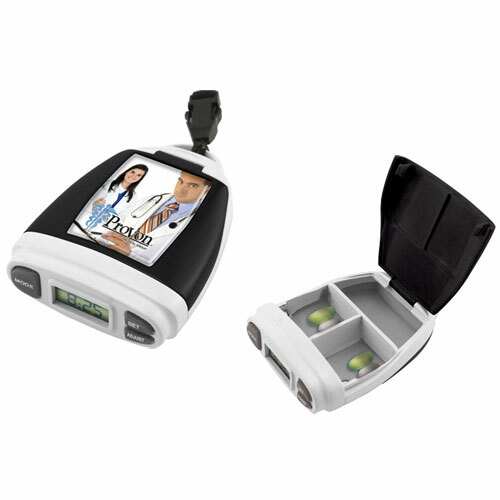 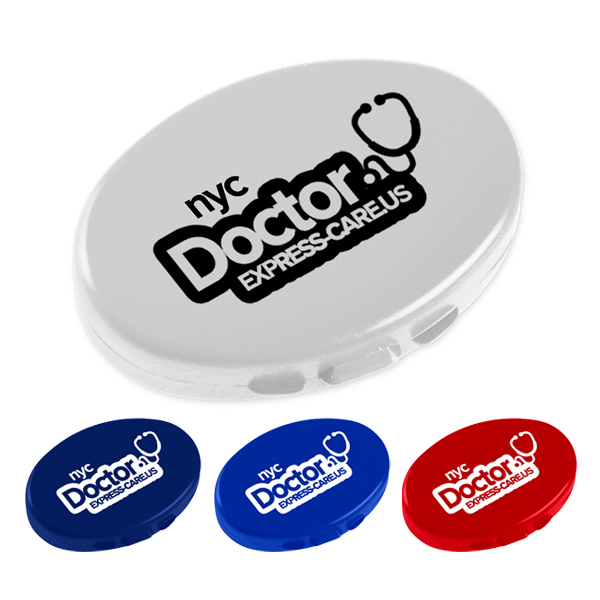 Great giveaways for doctors or the healthcare industry. 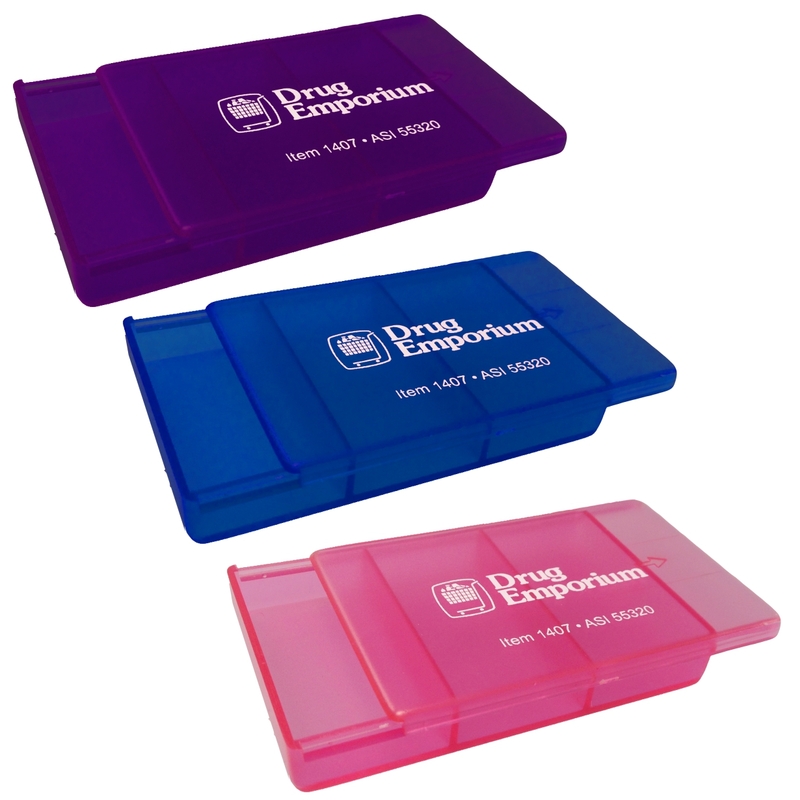 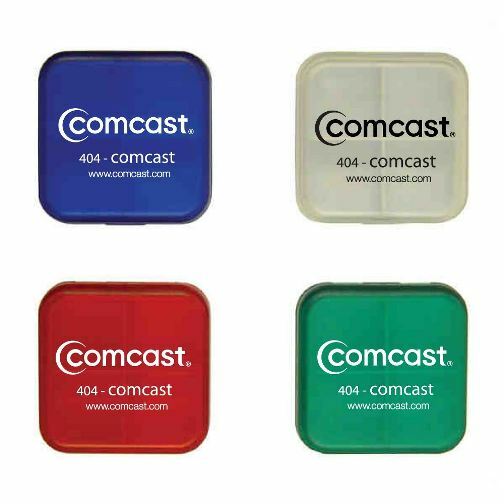 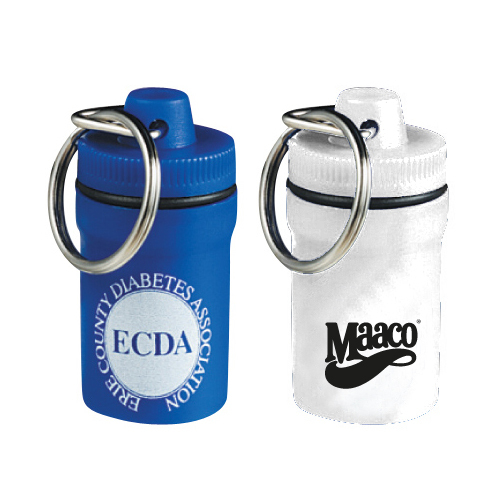 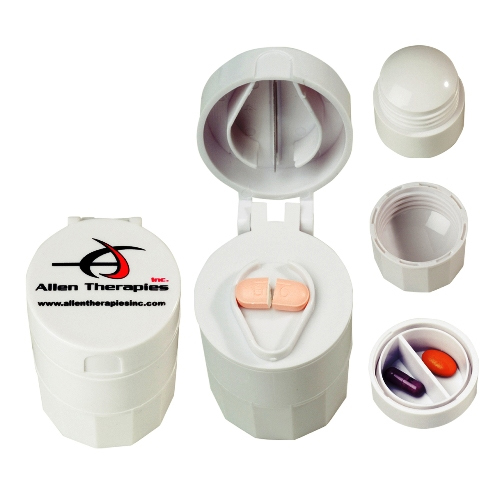 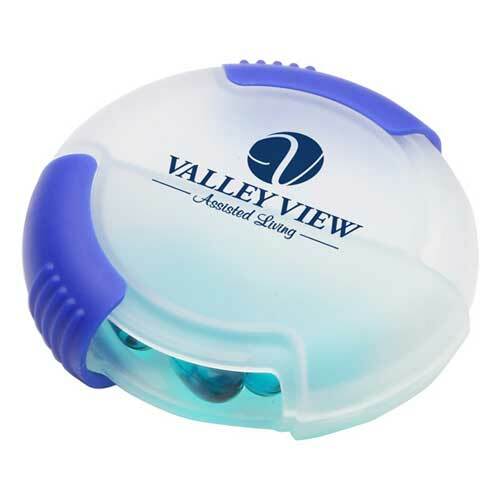 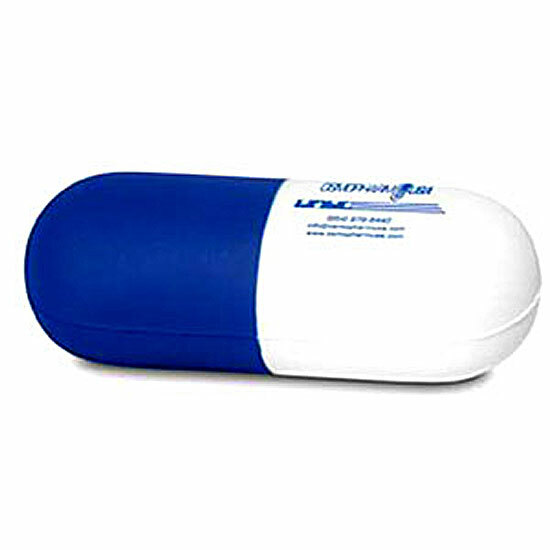 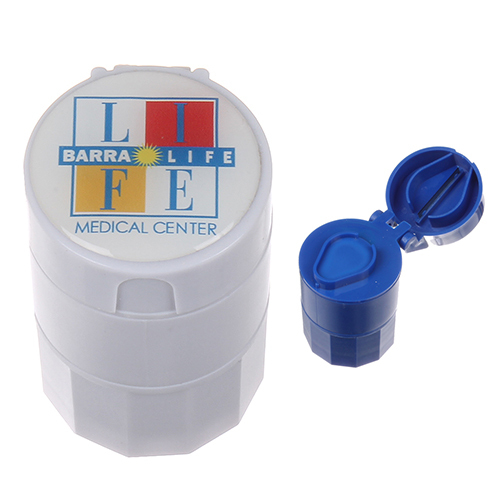 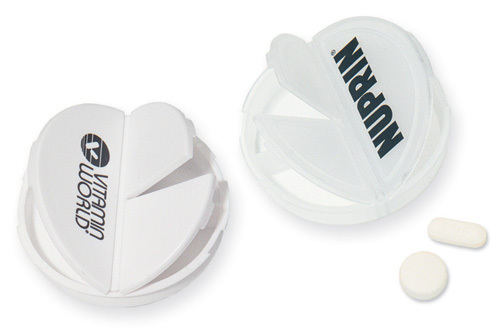 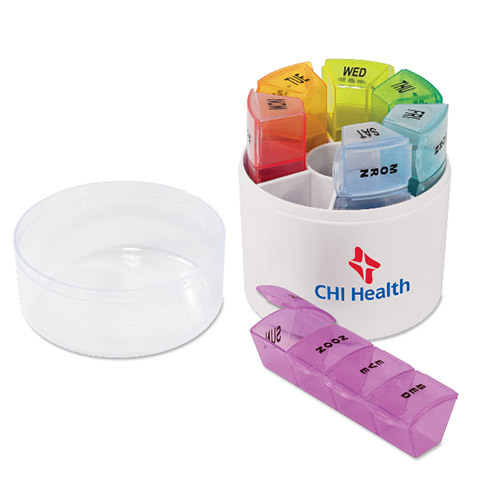 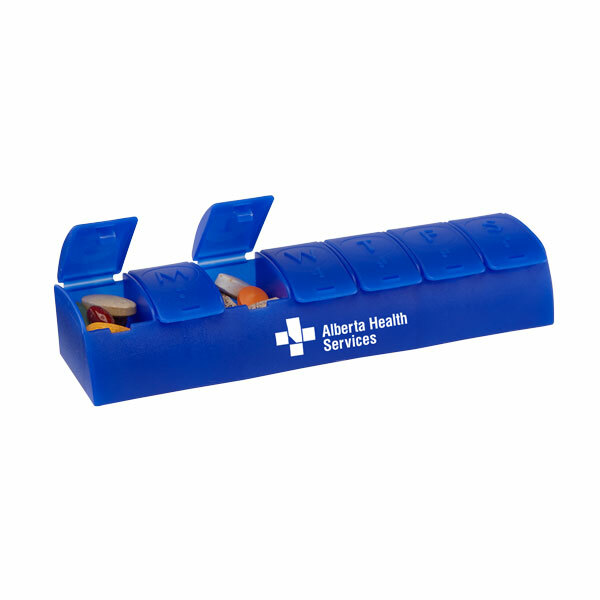 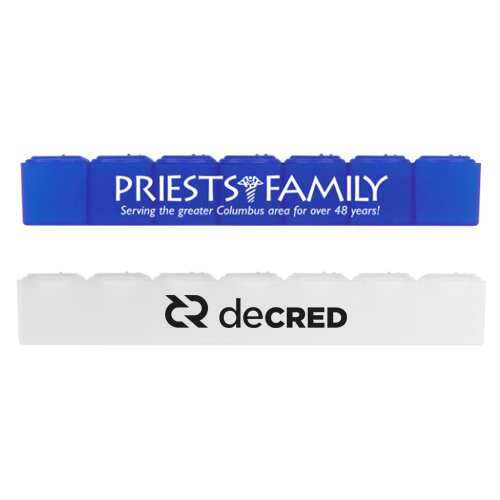 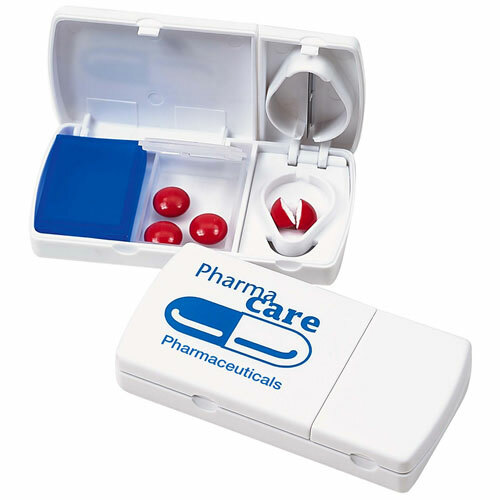 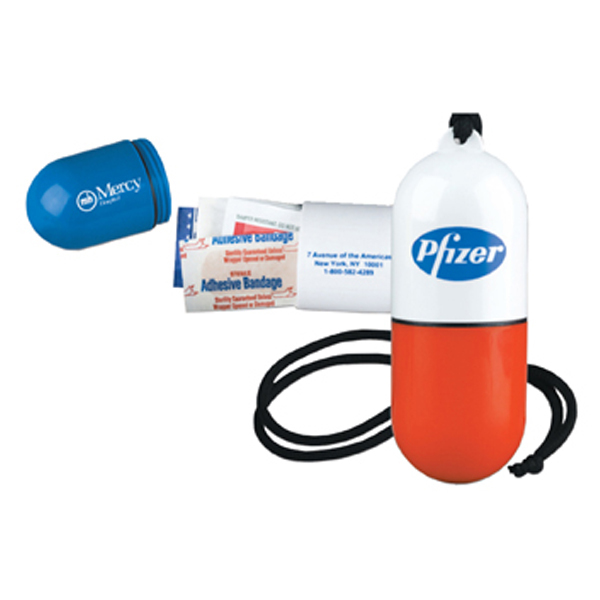 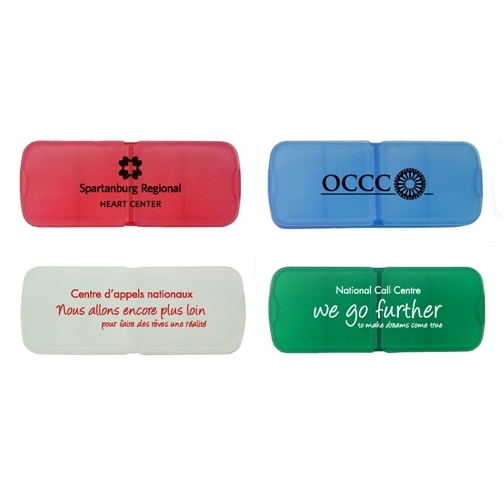 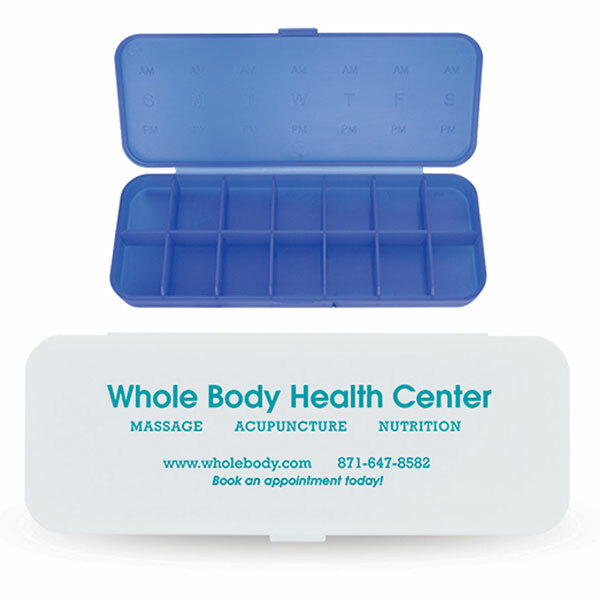 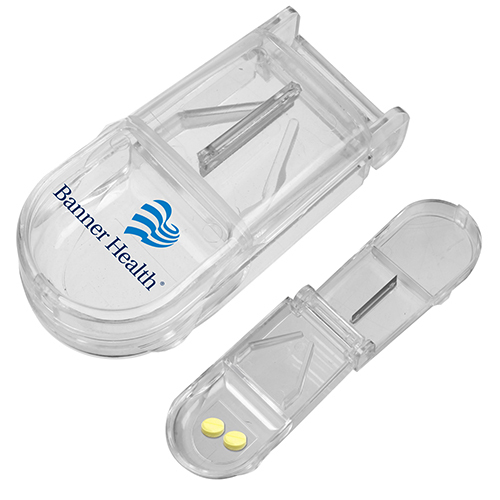 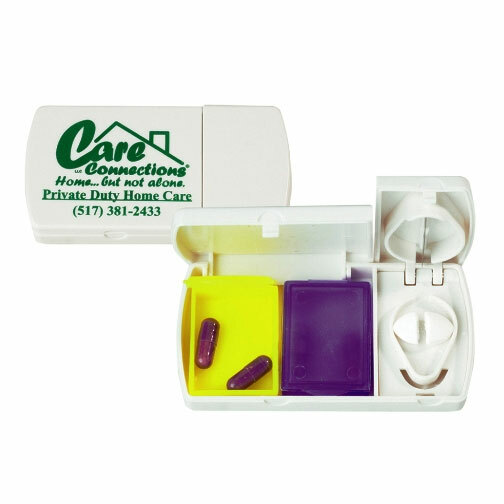 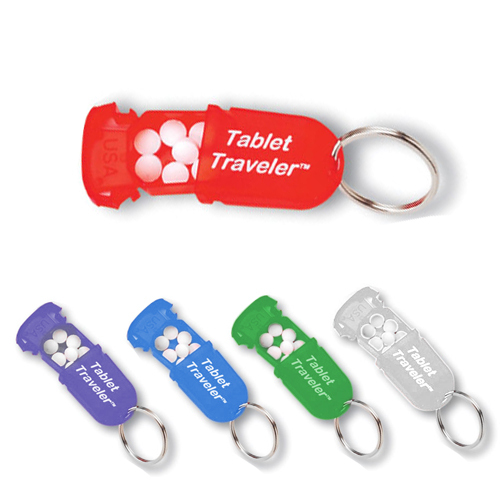 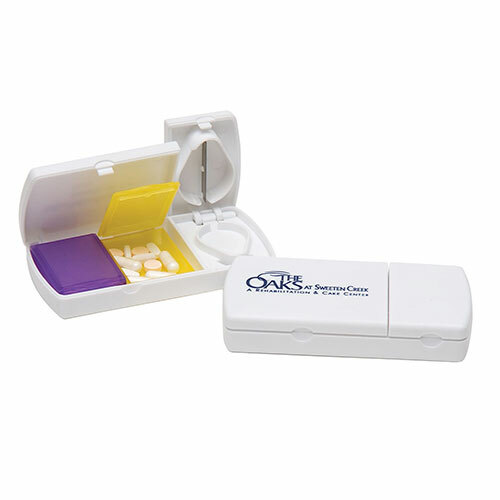 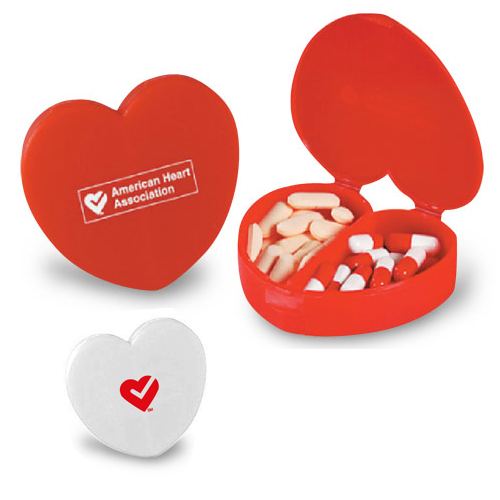 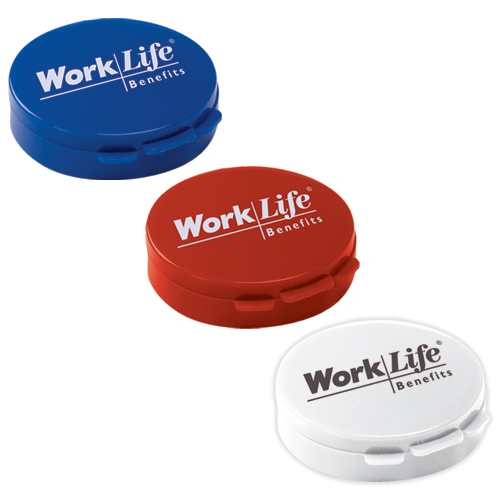 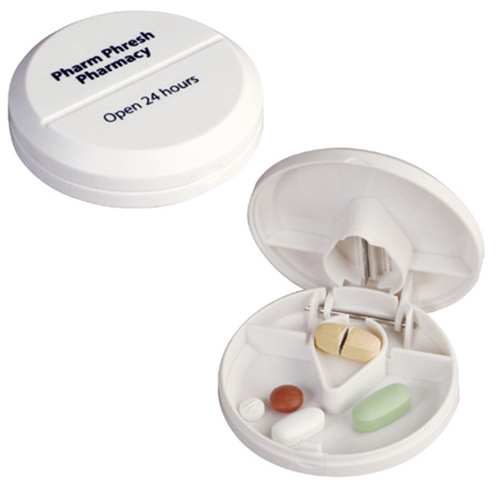 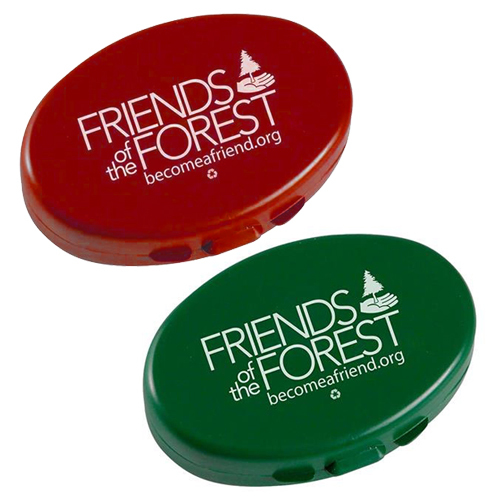 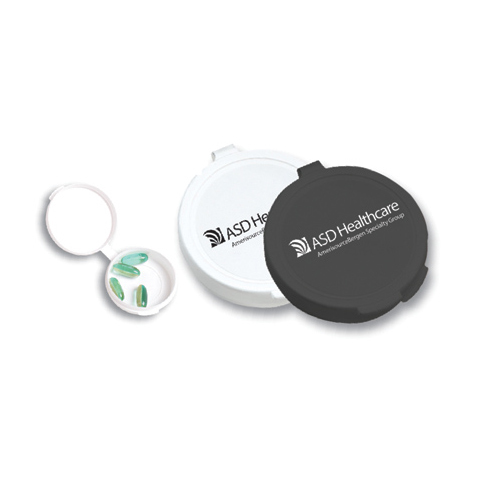 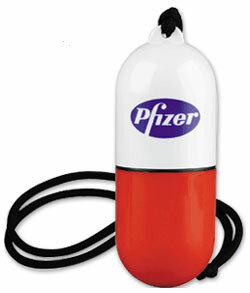 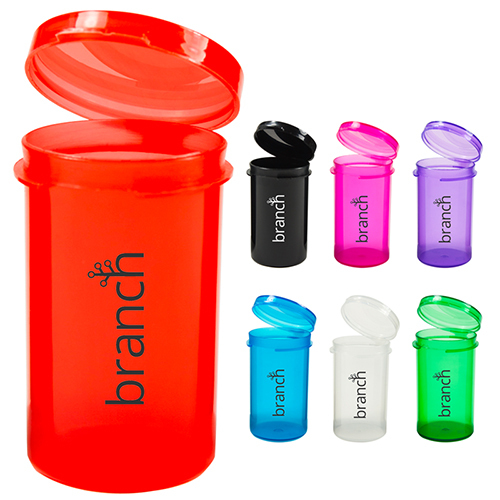 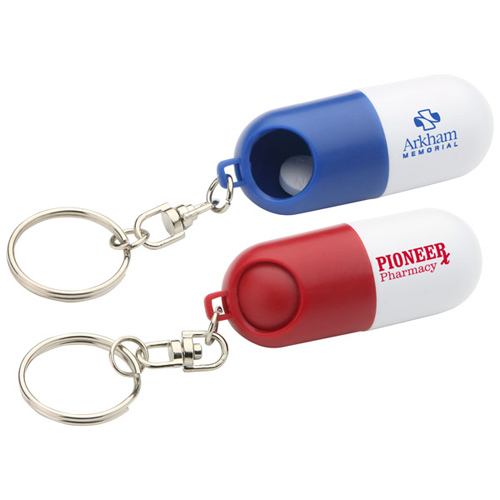 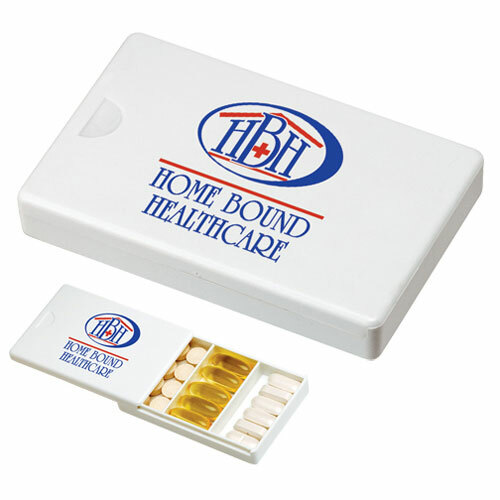 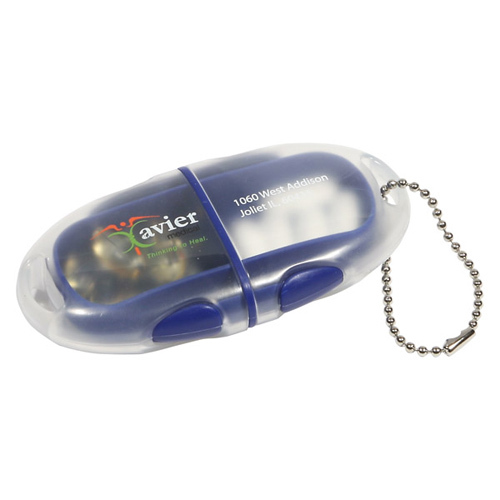 Giving one of our logo pill dispensers will help keep your recipients medication in one place. 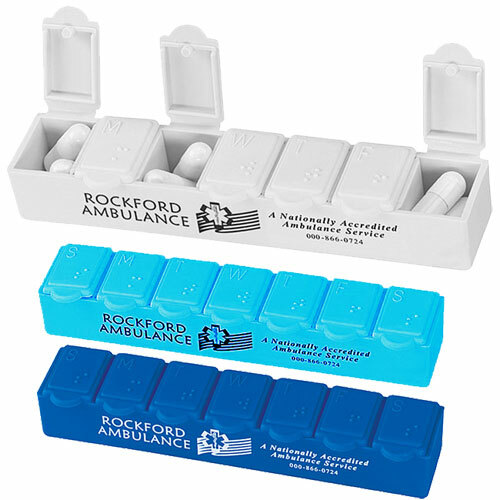 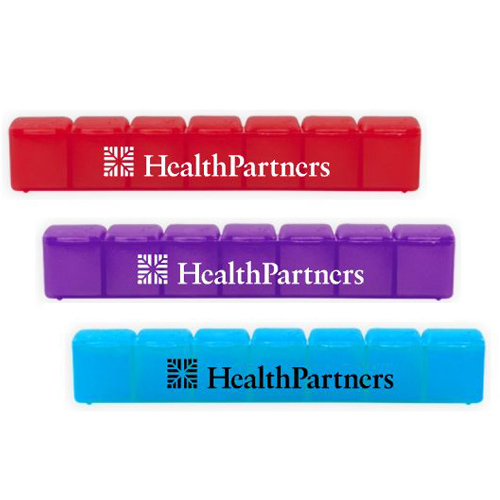 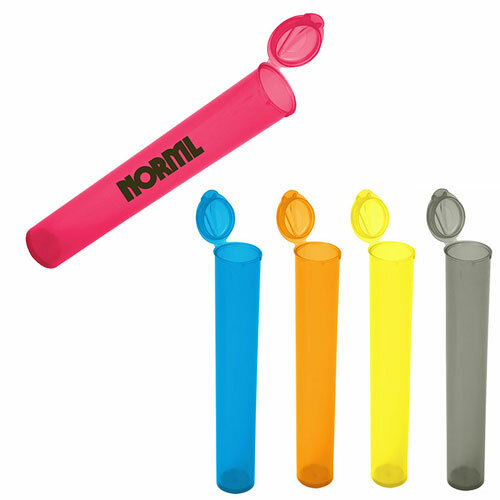 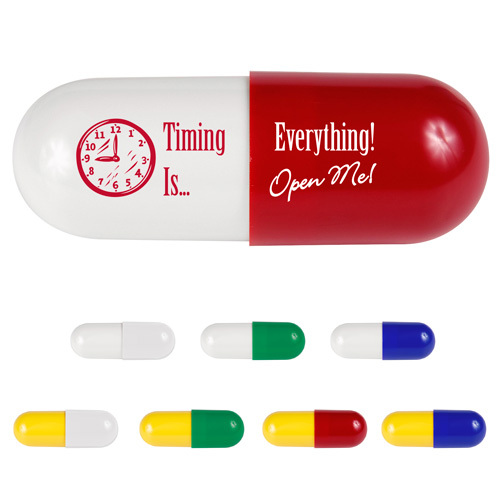 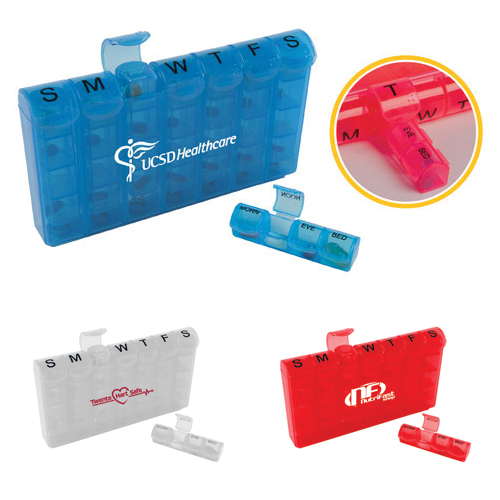 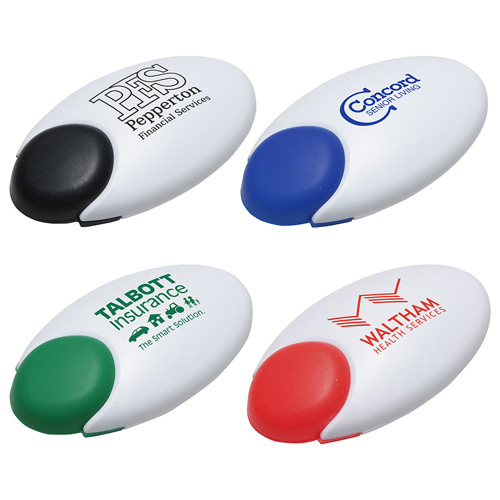 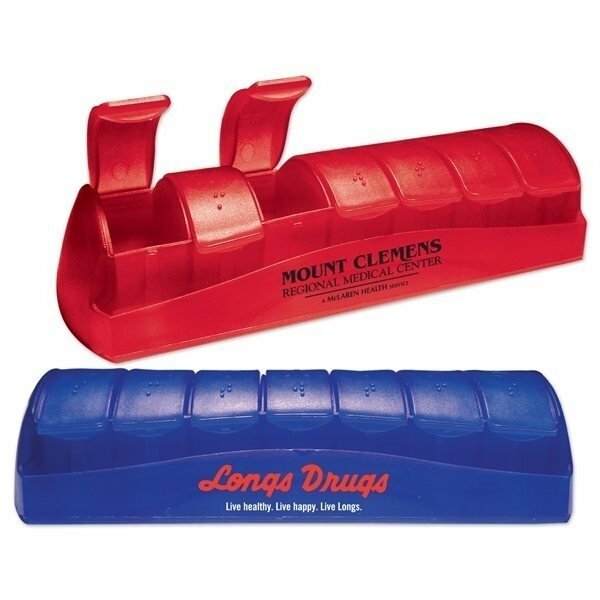 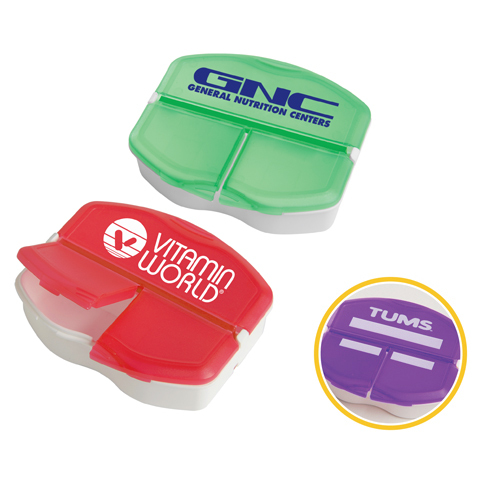 Garrett Specialties offers a large selection of custom pill dispensers to imprint your logo or message for your promotional needs.